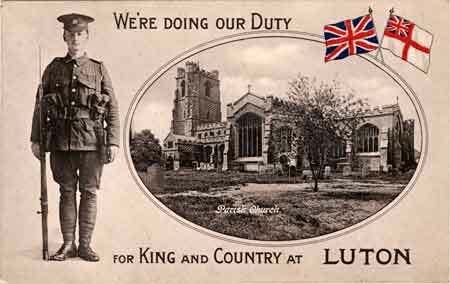 Saturday 29th June 1918: Rifleman Arthur William Sayell of the Rifle Brigade, who is now a prisoner of war in Germany after being captured at St. Quentin on 21st March, has written to his parents at Springfield Road, Linslade. After being taken prisoner he was marched for some distance and then put on a train for Giessen, where he was kept for three weeks. He has now been moved to Limburg Camp. Rifleman Joe Woods, of Fern View, Springfield Road had been with Rifleman Sayell since they joined the army. They were captured together, but were parted after they reached Giessen. Rifleman Sayell says that so far he has been treated decently and is getting enough food. He has received food parcels from the Prisoners of War Help Committee and the Red Cross, including biscuits, cocoa, condensed milk, roast mutton, beef and dripping. He complains that time passes very slowly, although they expect soon to be given some work. In the same barracks he has met Horace Rollings of George Street, Leighton Buzzard, who had only just returned from leave when he was captured. 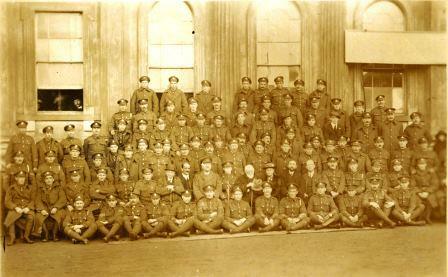 Thursday 27th June 1918: Bedford has been honoured today with a visit from the King and Queen. Their Majesties arrived in Bedford on the royal train at 11.00am and were met by a reception committee including the Mayor and Mayoress, the Lord Lieutenant and Mrs. Howard Whitbread, the Duke and Duchess of Bedford, the Town Clerk, the Chief Constable and the Stationmaster. A guard of honour from the Royal Engineers presented arms and the national anthem was played by the Engineers’ Band. Their Majesties’ first visit was to W.H. Allen’s engineering works where the Guard of Honour was made up of men who had been in the firing line and those who had been discharged due to wounds. A tour of the works followed, to the delight of the girls employed there. 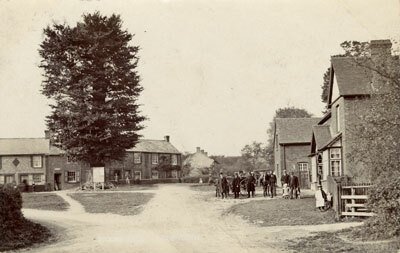 A number of engines were seen in various stages of construction, as were dynamos for electric lighting; a very brief visit was paid to the Test House, where the vibration and noise of the running engines put paid to any attempts to speak; and the tour included the Women’s Dining Hall, where the mid-day meal was being prepared. Their Majesties were offered refreshments in the Board Room. Mr. Richard Allen said later that the King had expressed very great pleasure in what he had seen, and had especially remarked on the arrangements made for the welfare of the women. At 12.00pm the royal party made its way to the High School, where they King and Queen were cheered by the girls as they entered the school hall. Outside in the grounds were a large number of old girls in V.A.D. uniforms. A beautiful bouquet of carnations was presented to the Queen by the head girl, Kathleen Tulloch. Their Majesties were then given a tour of three classrooms where lessons were in progress. The girls of the Modern School were also present, and their head girl, Hilda Howe, gave the Queen a bouquet of sweet peas. From the High School the King and Queen moved on to the Town Hall for a civic reception, before returning to their train at the Midland Railway station for lunch. 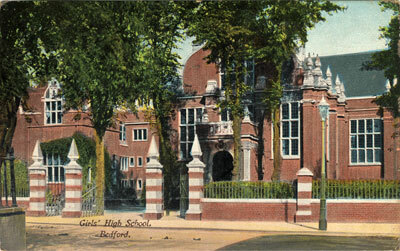 Their final visit in the town was Bedford School. Their route from the station was lined with cheering crowds, including hundreds of school children waving Union Jacks. On the way to the School their Majesties inspected a long line of wounded soldiers and their nurses, When they arrived they were greeted by the Headmaster, before the School Corps and the Officers Training Corps presented arms. Three cheers were given for both the King and the Queen before the School Corps formed up for a “March Past”. After the staff of the School were presented individually, the party moved to the edge of the cricket pitch where the staff and senior boys of the Modern School were gathered. The King spoke to these boys regretting that they had not been able to visit the Modern School, and congratulated Bedford School on its splendid record. He announcing that he wished to give the boys of both schools an extra week’s holiday to celebrate the royal visit. 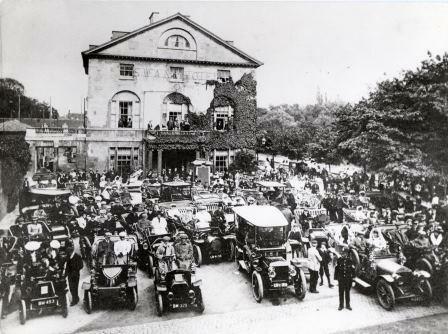 The Royal party returned to the station and left Bedford at 4.00pm. Saturday 22nd June 1918: Bertie Royal Gutteridge, a 17 year old labourer from Dunstable, was charged at Woburn Police Court yesterday with maliciously wounding Private Arthur James Sanford at Tilsworth on 8th June. Private Sanford had been lent by the Army Service Corps to a Dunstable contractor, Mr. J. W. Ridgway of Skimpot, to drive a steam cultivator. Gutteridge had been hired to steer the cultivator, but on 6th June while working at Billington he refused to do any more work. On Saturday they moved on to Tilsworth and Gutteridge came and asked for his money. Mr. Ridgeway refused to pay him without compensation for the time the engines had been idle through his neglect. Gutteridge then threatened to bash Mr. Ridgway’s brains out and struck him with a shovel. Mr. Ridgway took an iron pin to defend himself and went to Hockliffe for the police. Private Sanford was bending down washing himself in a bucket of water when Gutteridge came up behind him and hit him on the back of the head with the shovel, saying he would murder him. He was hit a second time while lying on the ground; Gutteridge then ran away. When Gutteridge was arrested at Dunstable he told the police constable “I did it to get a bit of my own back”. Police Inspector Vincent said that when he was brought to Woburn Police Station Gutteridge said “He did me one and I meant doing him one; I meant having my own back on him”. Dr. H. Stones Walsh of Toddington told the court that Sanford had a severe lacerated wound on the back of his head two inches long, which exposed the bone, and a bruise on his left shoulder blade. It should heal quickly, but the injury could have been serious. Gutteridge said that the reason he had refused to work was that the piece of ground they were ploughing was rough, and the drivers were pulling too fast and likely to break his arms on the cultivator. He had warned them on the Wednesday but they did not take any notice, so on Thursday morning he jumped off the cultivator and left it in the field. The magistrates decided to reduce the charge to causing bodily harm and committed Gutteridge to trial at the Quarter Sessions. The brothers’ father, Mr. Arthur Groom, is himself an old soldier; he served in India, and retired from the Army last year. Thursday 13th June 1918: A half section of the Motor Transport Volunteers is to be formed in Leighton Buzzard, with Second Lieutenant Pannell of the Chalet, Dunstable, in charge. The Volunteers will be men over military age who are exempted by Tribunals or who hold protection certificates. They will be required to enrol both themselves and their vehicles, either a car if they possess one, or a motorcycle. Between 15 and 20 volunteers will be required. It is expected that they will mostly be men who already know each other and meet in other work. Membership of the corps will allow them to use their cars for authorised military duties. Saturday 9th June 1918: Bedford is again doing its best to show its appreciation for the men of their local regiment with a fund-raising event for the Bedfordshire Regiment Comforts Fund and also for the Prisoners of War Fund. This sends to each prisoner from the regiment three parcels of food, tobacco and cigarettes every fortnight at a cost of nine shillings, and also five bundles of clothing each year. Today’s proceedings will begin with the Colours of the Regiment being played through the town between 11.30am and 12.00pm before being placed on the Soldiers’ Memorial. The regimental band will play on the Embankment between 3.30pm and 6.30pm. Thursday 6th June 1918: During the recent libel trial of Noel Pemberton Billing M.P., it was suggested that the deaths in battle of Major Evelyn de Rothschild of Ascott (near Linslade) and the Honorable Neil Primrose last year (the son of Lord Rosebery of Mentmore Towers) were in fact murder. This crime was supposedly carried out because the two men knew of the so-called German “Black Book”, which is said to list the names of 47,000 men who are being blackmailed by the German High Command because of their homosexuality. Mr Pemberton Billing is the publisher of The Vigilante magazine (formerly The Imperialist), which is well known for its anti-Semitism and regularly claims that Britain is the victim of a Jewish and homosexual conspiracy. Pemberton Billing was sued by American actress Maud Allen, who played the lead role in a private performance of Oscar Wilde’s play Salome, after Pemberton Billing suggested she was a lesbian. 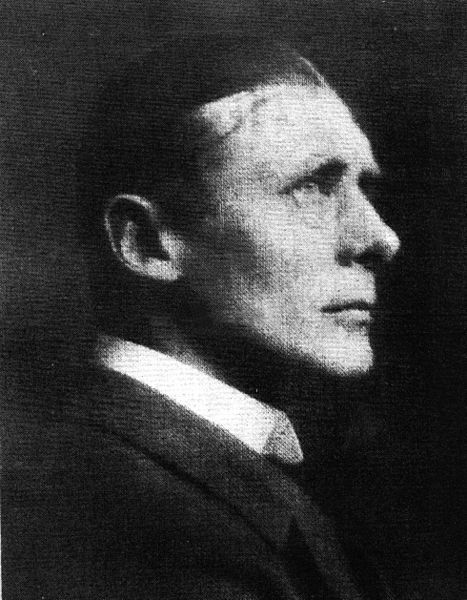 Oscar Wilde’s former lover Lord Alfred Douglas was called as a witness to the danger posed by Wilde and his works. Pemberton Billing won the case. 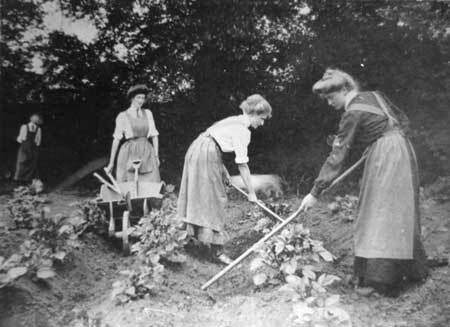 Sunday 2nd June 1918: Yesterday was Maiden’s Day in Luton, as members of the Women’s Land Army held a recruitment drive. A bit platform was built in front of the Town Hall, and the building was adorned by banners with slogans such as “Men in the field; women in the fields”. A contingent of land girls wearing smocks, breeches and leggings paraded into the town and took up positions behind the speakers on the platform. One of the speakers was a Miss Bedford, a land worker and member of the National Service Corps (made up mostly of teachers), who has been working for a long time at Manor Farm, Caddington. She described how she and her colleagues have worked in all weathers, and slept in a leaky barn until accommodation could be found for them. Their employer could not speak too highly of them. She said she wanted the “sporting girl” who “can keep her lips up when everything goes dead wrong”. The committee formed to organise the event where keen to go one better than Bedford, where a similar demonstration was held a week ago. The Mayor told the crowd that at least 30,000 women were needed immediately due to the shortage of men on the farms. Lady Trustram Eve made it clear that the country depended on women to win the war. For every man who went to the trenches a women was needed here to do his work. England was now producing more food than ever, and this required more labourers. The men at the front must be fed! It was hard work with no place for the wrong sort of girl, but she believed Luton would turn out the right sort, able to do men’s work. They would have to get up early, and would get muddy and dirty, but it was a healthy life. Councillor Primett advised girls to try the work as “It is one way to get a husband. The young ladies who will take the best husbands will be those who have joined the Land Army”. 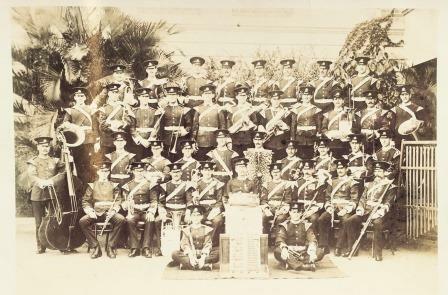 As a result of the event about sixty new recruits volunteered. This is considered a satisfactory number for a town like Luton.